I live right at the edge of Kuala Lumpur, a bustling fast-growing city. Yet waking up on lazy Sunday mornings, I might look out of my bedroom and sometimes would be rewarded with a view of a squirrel or two nervously scurrying about under a mango tree just outside. One of the joys of life! But actually they are not squirrels. An article last Sunday by Mustaffa Babjee in the New Sunday Times put me right. These animals that we call “tupai” in Malay, that have so well adapted to urban life in Kuala Lumpur, are in fact tree shrews. 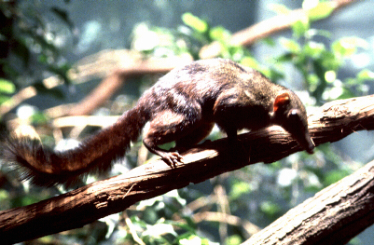 The “tupaia glis” “can be distinguished from the squirrel by its long pointed snout”. They are indigenous to South East Asia. The ones that come around my home look rather thin and scraggy, but I’ve seen chubby ones in a garden next to an oil palm plantation. Perhaps living in the city is not easy for them, but they seem to thrive nevertheless. “The shrew is a playful little creature which can be fun to watch as it crawl-hops along the top of concrete fence, freezes to stare at you with its relatively big eyes, postures on its haunches with the forelegs held high, as it munches on a fig or small grasshopper”. 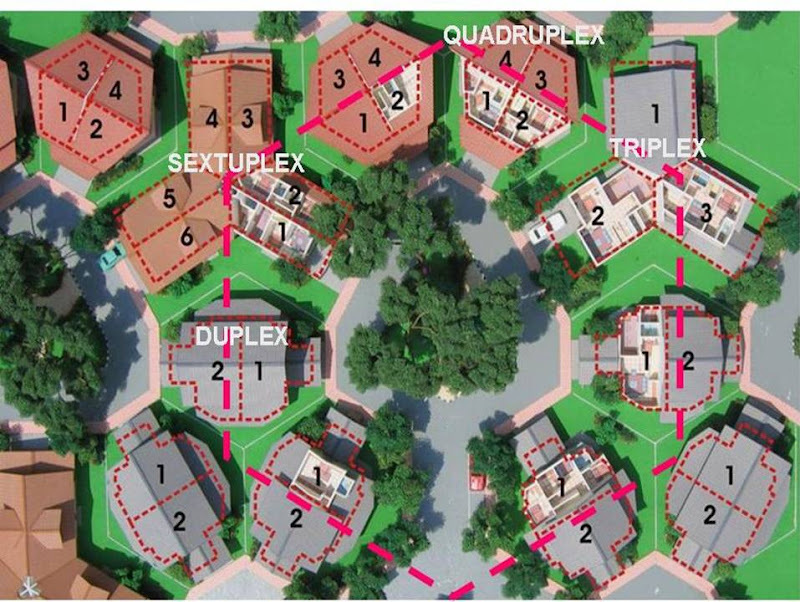 With the tessellation idea of the “honeycomb” layout, houses are clustered around courtyards which have small green areas in the middle. These gardens may not be big as far as parks go, but they are big enough to accommodate even the tallest, wide-canopied trees that can be found in Malaysia. The prospect of having pocket parks with trees that bear fruits and berries in front of every house opened up the possibility of introducing some species of wildlife to the neighbourhood. Get the food-chain set up, perhaps artificially augmented, then more animals like the “tupai” can happily live there. Wanted – landscape architects for flora and fauna! We watch with great concern as some of our beautiful wildlife- parakeets, lorokeets, parrots, hawks, and squirrels- retreat from the rise of the super high rises (80+ floors). One hope is that the energetic environmentalists are sounding very serious alarms about what we are doing to our country locally. Are the "tupaia glis" spoiled, beg for food, take food from hands like some of our park's squirrels? Highrise buildings over 80 storeys should'nt common in Panama or anywhere else! They don't make sense economically: they are mainly the result of an irrational edifice complex. My guess is that any development will displace wildlife; in my opinion, we have to strike a balance.